Want to look like a Million? Smart, Sharp and Trendy. Even these guys are wearing Men's Hawaiian Shirts. STOP scouring over the Internet! Throw your magazines away! You don't have to copy what everyone else is wearing. It’s time for you to express yourself in a unique way! It’s time to switch to our trendy collection of ‘MEN'S HAWAIIAN SHIRTS’! Yes! We Deliver Hawaii To You! Sometimes you are completely intrigued by fashion, or maybe a little confused. Your instincts tell you treasure it, but you're still not quite sure what to make of it. You want something else; you want to create your own style to make it unique! Then you see a cool trendy printed/colored floral shirt photo that illustrates how you can take the craziest of things and make them totally wearable. How Cool! So let’s bring the craziness, uniqueness and individuality to our stunning dress code with vibe and rich colors, unique presence that make you stand out from the crowd! There's some cool dudes in the video above wearing men's Hawaiian Shirts. Stop looking like a member of a group! Bring a trend lifecycle to life! Take a look what Kapo Trading offers and show the world – YOU ARE UNIQUE! YOU ARE A STYLE ICON! Have you forgotten that upcoming special event or occasion where a Men's Hawaiian Shirt will be perfect? How many times have you been to the beach or some other summer time fun place and seen guys waking around in those great looking tropical shirts with floral prints? Even before mainlanders discovered surfing men's Hawaiian clothes have been around the fashion scene. If you are looking to add a little spice to your summer wardrobe you really need to have a Hawaiian shirt in your closet. You don't need to purchase one of those crazy wild prints that scream "Man! I am a tourist", there are also some classic prints that just ooze class and style. 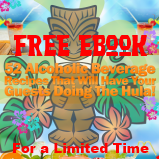 What about ‘being the Big Kahuna’? Wait! Wait! About Casual Friday? Oh Yes! When the sun is beating down it's hard to find something comfortable to wear that's also stylish. Yes we all want to look great during summer - despite the scorching heat of the sun. We all want to look like the God Pele - lovely in his fiery feel. We want to sizzle and burn like the beauty of a flame that is hot, wild and free. On the other hand, we want to be comfortable and we want to move with freedom in every fiber of our being. We want to be stylish and look every inch a God of the Sun. A men's Hawaiian shirt is perfect to welcome summer with - luaus are never complete without the flair design of the beach and all the leis. Summer fun has begun - and so should you! Feel fresh and inhale the breeze, so relaxing, in your mens Hawaiian shirt flowing and dancing. Amazing design and comfort can bring out the sweet squall in you! Let the island have the merriest celebration by feeling every drumbeat and scream of the all the beach lovers in the name of summer love. Our Hawaiian shirts can bring any Hawaiian-themed occasion to a higher level - with all the bright floral patterns and lava lore designs. Yes! I love beach! But it’s for parties as well! You love everything lovely, beautiful and flirty - and why shouldn't you? 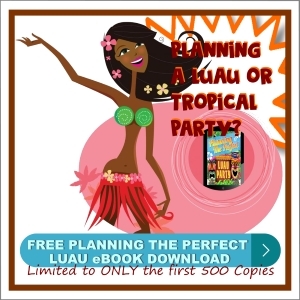 These shirts are not only worn on beach vacations but on beach-themed parties as well. Choose a color and style that fits your personality - summer is alive once more, so look fabulous, be happy and cheer! You're on vacation headed out to the beach for a day of fun in the sun, what is your favorite thing to wear. A shirt of course, and a mens Hawaiian Shirt is exactly the right choice. Amazing Service! Thank you for the quick turnaround. It’s perfect! Exceeded my expectations!? On-Time! Great! The shirts arrived this morning and they look great, thanks to all for a trouble free professional service! Smart, Sharp and Trendy! Thanks a million! Wao! It’s just amazing! Perfect Fit! Can’t expect more! Real Deal! Awesome Work! I’ve stopped scouring over the Internet! I’ve thrown my magazines away! Real deal is here! Awesome Shirt! The beach is all about freedom and comfort - it is about nature and men. When one is in the beach, a feeling of total serenity is felt and experienced. Everybody just want to have fun! So blossom and reign like the fire and water child that is in you and wear the dress that speaks so loudly of the beach. A Hawaiian print shirt is the perfect solution for the summertime heat. Men's Hawaiian shirts are great and they can give any one a Miami Vice vibe too. Not to mention, they are cool to the body and you will feel lots of breeze and air around you. There are so many styles and varieties available that will fit anyone - from bulky to all muscles kind down to the frail-looking, skinny ones. Usually, Hawaiian shirts are made of pure fabrics. From Small to Extra Extra Extra Extra Large! We’ve got you covered! Our brand is about delivering fashion newness, excitement and value. We translate the latest trends from the celebrities (video above), catwalk and the streets as fast as we can, offering our customers with Authentic Hawaiian fashion that is bang on trend - and great value for money. We believe we have the world's loudest range of men's Hawaiian shirts available in a range of sizes from Extra Small to XXXXL. We aim to provide 100% customer satisfaction, great customer service, quality shirts and speedy delivery. 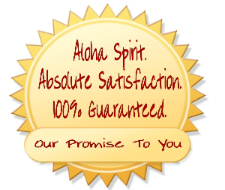 Stocking an amazing and exotic range of men's Hawaiian shirts, aloha designs, beach wear, and tropical shirts, we surely have what you're looking for! 100% Satisfied customers! It's like standing out and giving everybody a hint of your personality. It’s beyond belief because you can make your own mark. The smell of a beach is very intoxicating – yes, it is tempting. Just one sniff of it can make you think of relaxing thoughts and yet, there is an inviting kick that could make you take off his shirt to dive and swim away. Here you can find an amazing looking beach shirt that is exactly what you are searching for. Half of having fun in the summertime is being able to wear something that is fun, cool and has a little style. You can grab bright floral patterns and lava lore designs, all types of Hawaiian shirts. Men's Hawaiian shirts are available in a variety of sizes, colors, styles and prints like Leis of aloha, garden leaves, orchids, surfing prints are just a few of the designs of these summer shirts. Our shirts are perfect for casual wear, corporate events, holidays, stag nights, parties etc. So start browsing and enjoy the breeze of the beach - wear the most comfortable Hawaiian Shirt and have the time of your life. Pull off the look and be stylish - like the real man that you are - Aloha! 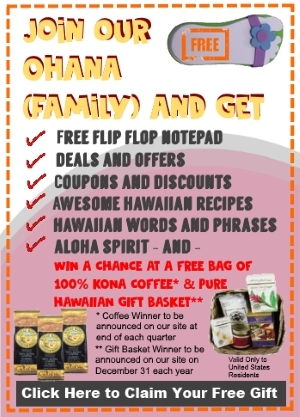 Kapo Trading is a your Hawaiian products company offering Hawaiian clothing, Hawaiian gift baskets, tiki decor, 100% Kona coffees, and other unique gifts in the Aloha Spirit! We deliver Hawaii to you!